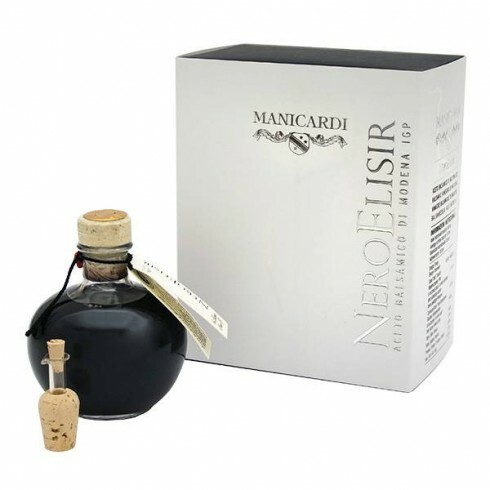 Nero Elisir - Aceto Balsamico di Modena IGP - Manicardi | Saporidoc UK. 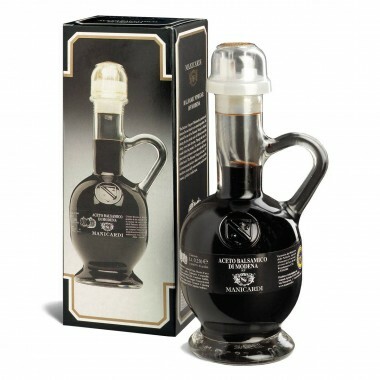 NERO ELISIR - Balsamic Vinegar is created in the heart of Emilia Romagna. 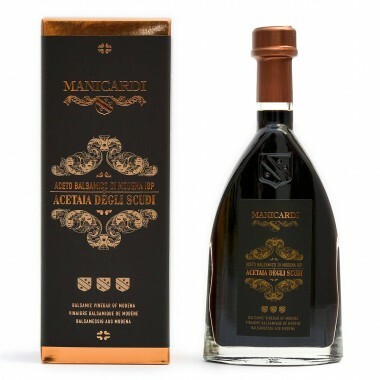 It generously discloses to the palates of connoisseurs secrets of this exquisitely product. NEROELISIR is aged in precious wooden casks thanks to which it acquires its typical smooth and harmonious flavour that makes this product a precious dressing for adding extra taste to meat, cheese, vegetables and even strawberries. 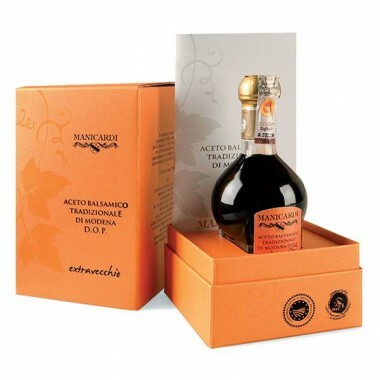 Classification Aceto Balsamico di Modena I.G.P. Maturation Matured in casks of chestnut, cherry, oak, mulberry and juniper wood. Pairs with Roasted meat, salad with potatoes and soft cheeses vanilla ice-cream, strawberries. NEROELISIR is created in the heart of Emilia Romagna, in the hills of Castelvetro amid woodlands and vine cultivations. 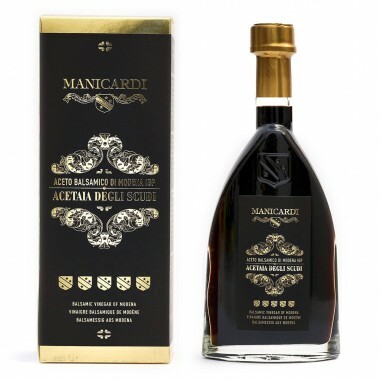 These are the suggestive surroundings in which Azienda Agricola Manicardi has, for almost half a century, safeguarded a heritage of experience handed down throughout the years.